After lot of hype and promotions, Nagarjuna and Karthi’s ambitious project, Oopiri has finally hit the screens today. Let’s see whether it lives up to its hype or not. Vikaram Aditya(Nagarjuna) is a paralysed billionaire who needs a care taker to bring spice in his other wise boring life. He interviews a number of candidates before stumbling upon a small time crook Seenu(Karthi) and appoints him as his assistant. Seenu’s careless attitude and liveliness wins Vikaram’s heart big time and changes his life completely. But life can get pretty tough as it induces problems into Seenu’s life through his personal problems. Rest of the story is as to how both these characters fight their problems and stand for each other in life. 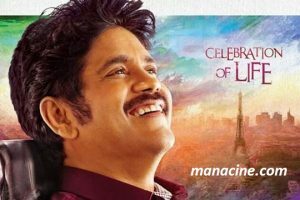 Oopiri is definitely a breath of fresh air amidst the routine and monotonous commercial cinema which Tollywood is used to. 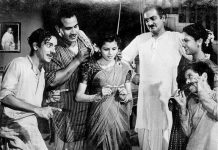 Director Vamsi Paidipalli should be lauded for adapting the remake and setting it up brilliantly for Telugu nativity. The emotions, fun, simplicity and larger than life attitude of the characters will win your hearts big time. 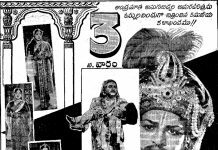 What can we say about Nagarjuna. After entertaining the audience as Bangaru Raju, he takes a complete u-turn and wins the heart of the audience completely. One can easily say that except for Nagarjuna, no one in Tollywood could have pulled off this risky role. Nag’s expressions, vulnerability and soberness in his performance will make you teary eyed. But the scene stealer of the film is undoubtedly Karthi. He makes a thumping debut and bowls you over as Seenu. Be it his wittiness, the vicious smile and lovable performance, he walks away with the cake. The bromance between Nag and Karthi is also one of the biggest highlights of the film. Vamsi Paidipalli has brought out some wonderful chemistry from these actors which is the main stay of the film. Not even for a second, you feel apologetic about Nag’s character and the way with which Vamsi has showcased Nagarjuna is just wonderful. Tamannah looks gorgeous and her love track with Karthi evokes huge laughs. Jayasudha and Prakash Raj do well in their supporting roles. Second half of the film gets slightly dragged a bit. Certain scenes during the Paris episode could have been trimmed down to engage the audience even more. There are certain dull moments during this time as the pace of the film dips a little. Oopiri is undoubtedly a class act and those who expect something commercial fun from the famous star cast will be disappointed. The front benchers and so called mass audience might find the proceedings a bit slow. PVP Cinema should be credited for backing such a unique project. Their production values are top class as the film looks rich and colourful. Camera work is awesome as the captivating visuals elevate the mood of the film well. Editing is good but as said earlier, there is a chance to chop off some scenes to make things better. Dialogues, art direction and especially Gopi Sundar’s music and background score are top notch. 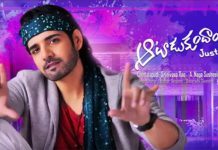 Coming to the director Vamsi Paidipalli, he has undoubtedly broken the mould of regular movies in Tollywood and has narrated a different film with ample entertainment. The way he brings out different emotions and executes Nagarjuna and Karthi’s roles is just wonderful. Oopiri is his best work till date and he as a director, has re-invented himself and made a feel good film which will surely go down memory lane as a path breaking film in Tollywood. The trailers showcased Oopiri as a celebration of life and indeed, the film as a whole stands up to all its hype and hysteria. Nagarjuna’s life changing performance and Karthi’s liveliness create magic on screen and make things work big time. 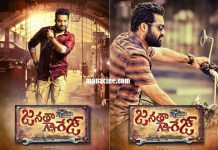 Though one feels that the film is majorly catered to class audience, it has the capacity to even impress the front benchers because of its universal emotions. Very rarely does one come across such a meaningful film in Telugu which holds your attention with its beautiful narration. Finally, if you ignore the slow pace of the film during the second half, Oopiri is one film which stands apart and cannot be missed.